Play Makeover Magic for a pretty spin on slots with 5-reels of girly goodies. Beauty bonus rounds abound with 3+ wildcards! 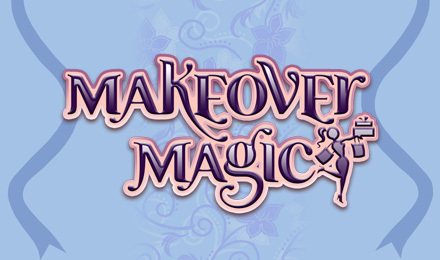 Makeover Magic Slots has a cute, girly theme which is clearly designed to appeal to the girly-girl players out there. With its sweet pink shopping theme, this slot machine is a great option if you like to spin your way to shopping heaven! Makeover Magic has 5 reels and 25 paylines and all the symbols are in keeping with the shopping and makeover theme. Icons include perfume bottles, polished nails and shopping gift cards, and there are exciting bonus features that all players can enjoy. Activate the free spins on this slot game by finding three or more café symbols across your winning paylines, and the more you line up the more freebies you’ll secure. Three symbols wins you 15 free spins, four equals 20 and finally if you line up five you’ll get 25. Makeover Magic also features five girl symbols, and if you line up three or more of these then you’ll launch the prize pick bonus. If you’ve got a super girlie side and love to get rewarded, then this could be the game for you. There’s the chance to win big cash bonuses and enjoy a fun shop-til-you-drop theme at the same time.